This screen pops up when students try to switch email accounts. MCPS changed policy to disallow students from switching accounts on school Chromebooks in December. Photo by Lily Friedman. 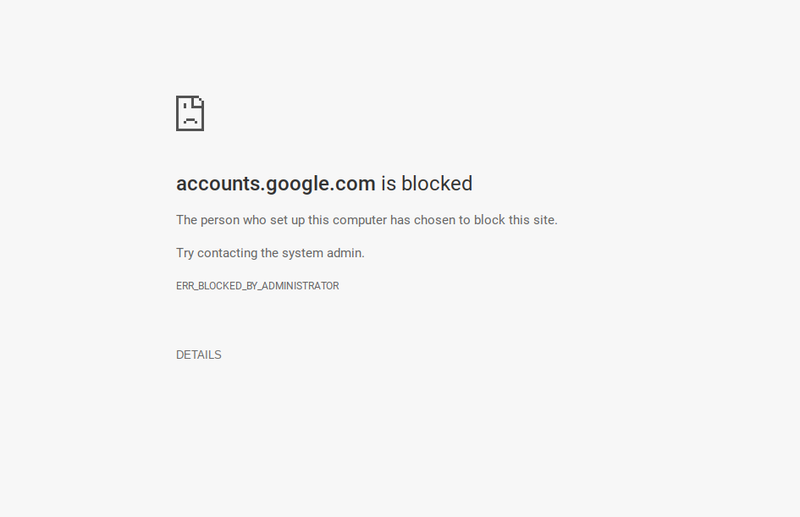 Students can no longer sign out of their school-based Google accounts on Chromebooks after MCPS technology officers changed countywide network settings prohibit the action. The change in settings was made in Dec. and provides a precautionary measure against potential threats to the county’s network, chief technology officer Pete Cevenini said. Some students disagree and think the change may hinder their ability to do classwork. Many students have discovered loopholes which allow them to access their personal accounts; however, MCPS officials are continually trying to block loopholes as they arise, in an effort to secure the network, Cevenini said. The settings change also serves to bolster a longstanding, though rarely enforced, MCPS policy that prohibits teachers and students from using personal accounts at school.